Following the highly anticipated launch of the new model ProCab™, a surge of excitement has spread among drivers in the taxi trade. We caught up with Ronnie McWilliams, who’s been working the ranks of Glasgow for an impressive 12 years and is now proud owner of the new model ProCab™. He gives us a first-hand insight on life behind the wheel of the latest generation hackney taxi. With a busy working schedule, Ronnie needed a reliable and efficient taxi while working a variety of pick-ups. Ronnie’s top priority is catering to the needs of his passengers is and the well-thought-out ProCab™ doesn’t disappoint. 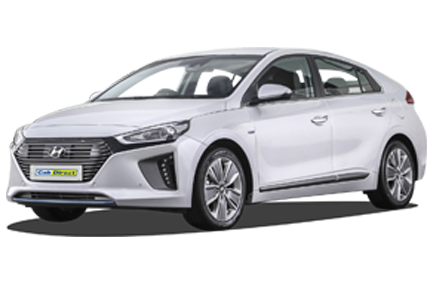 With its six-seat rear compartment and the option of a double seat up front, ProCab™ can accommodate up to eight passengers in comfort and style. The celebrated EasyGlide™ ramp is integrated with the passenger compartment floor, offering optimum accessibility for wheelchair access. High-visibility grab handles along with illuminated, electric side-steps on both sides add to ProCab’s easy access and safety element. Ronnie commented: “There’s plenty of space for passengers and their luggage. The pull-out ramp is perfect for wheelchair users and is quick and easy to use. The latest model ProCab™ boasts some clever new features as standard including an 8” colour touchscreen with satellite navigation, heated front seats, electric side-steps and a streamlined taxi pod. Ronnie can’t commend his ProCab™ enough. Popping down for a visit to the Cab Direct HQ, he said: “The reason I chose the ProCab™ over other taxis was its popular reputation for having great wheelchair access. If you’re looking to kick-start the new year and upgrade your taxi, now is the perfect time. For a limited time only, we’re offering a minimum trade-in value of £2,000* against your new model ProCab™. 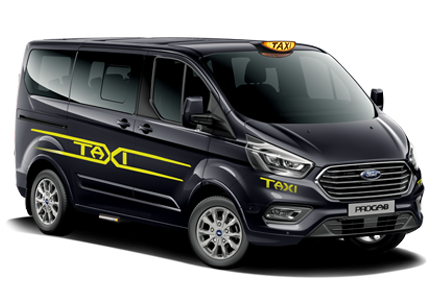 Click here for more information on the Ford ProCab™, call us on the number at the top of the page or enquire online here.